Motorola’s popular Droid 3 smartphone has finally received an easy rooting method and we’ll be guiding our readers on how to go about the procedure in this guide today. For the uninitiated, ‘rooting’ is a process by which users can get privileged access to their smartphone. The term is specific for Android devices and its equivalent in the iOS world is called ‘jailbreaking’, which I’m sure our readers are aware of as it is a regular topic here on Redmond Pie. 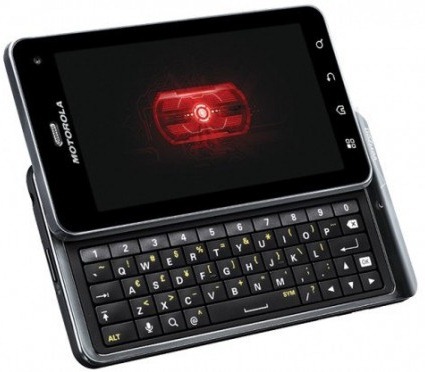 The root for the Motorola Droid 3 on Android 2.3.4 Gingerbread comes from RootzWiki, a developer forum for Android which seems to be taking the thunder away from XDA-Developers. It works on an exploit discovered by djrbliss and was written by framework43/psouza4. The entire procedure is rather simple, so anyone who knows how to work around a computer can easily root their Droid 3 without risking the unintended messing up of things. If you’re up for it, you may follow the guide written below. DISCLAIMER: Redmond Pie is not to be held responsible for any loss of data as a result of the malfunctioning of your Motorola Droid 3. Before continuing, be sure to back up important data your device. Transfer photos/videos to your desktop, sync contacts with Google Contacts etc. While this method has been proved to work, there is always the chance of something going wrong. It is, of course, better to be safe than sorry. According to developer P3Droid, this method also works on Droid X, Droid X2, Droid Pro, Droid 2 Global, Cliq and Cliq 2. It is expected to work with the upcoming Droid Bionic as well. Step 1: Download and install Motorola Drivers on your Windows PC: 64-bit / 32-bit. Step 2: Download MotorolaOneClickRoot_psouza4 [MediaFire Link] to your PC and unzip the .zip using a suitable software (we recommend 7-zip). Step 3: Pick up your Motorola Droid 3. From the homescreen, tap the Menu button and go to Settings > Applications > Development. Enable the option for USB debugging. Step 4: Connect your Droid 3 with your PC and select the Charge Only mode option when it appears. If it doesn’t come up, select it after pulling down your Notifications drawer. Step 5: On your PC, go inside the MotorolaOneClickRoot_psouza4 folder you unzipped in step 2. Run MotorolaOneClickRoot.exe and follow the on-screen instructions. Step 1: Download Droid3_Easy_Root_v7d [MediaFire Link]. Extract its contents using a suitable software. Step 2: Pick up your Motorola Droid 3. From the homescreen, tap the Menu button and go to Settings > Applications > Development. Check the option for USB debugging. Step 3: Connect your Droid 3 with your PC and select the Charge Only mode option when it appears. If it doesn’t come up, select it after pulling down your Notifications drawer. Step 4: Naviagate to the file you unzipped in Step 1 and run the file named run_to_root_your_droid3.sh. Follow the on-screen instructions. If you followed the steps properly, your Motorola Droid 3 smartphone will be rooted!